Happy New Year everyone! I hope you all had a wonderful Christmas and are looking forward to all the great things the new year will bring! And if you're looking for a last minute idea for a party hat to ring in the new year, how about this stylish top hat version of a fascinator? The hat is made from the Patriotic Party Hat available in the 99 Cent Store and is approximately 4" high. Just use the Hat, Hat Brim and Hat Top pieces, and assemble according to the instructions included with the file. Then add the free 2013 download that you can grab right here (this link is no longer valid), and add elastic or ribbon to hold the hat on (or attach it to a headband) and voila! 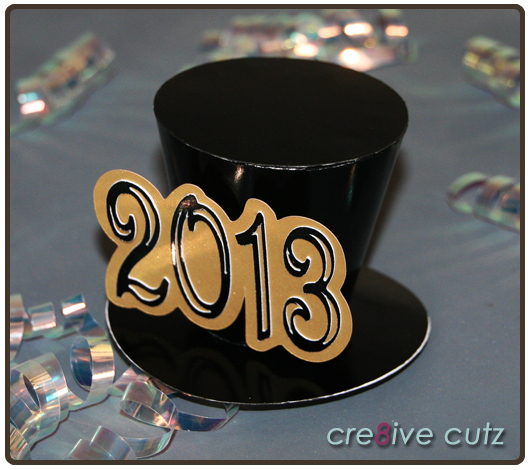 You have a one of a kind new year party hat! Have a great night, and I'll see you in 2013! 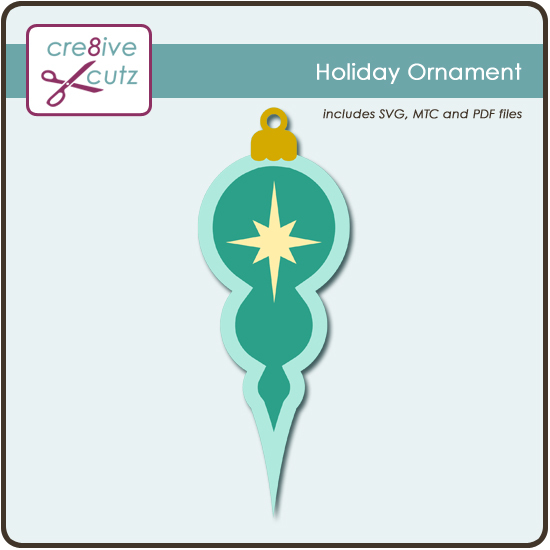 Hi readers, I have one last Christmas freebie for you, a dainty Holiday Ornament. Use it to make some paper ornaments to hang from your tree, or even make a festive banner with it. It would also make a great tag to use in your gift wrapping! As always, SVG, MTC and PDF files are included in the download. Just click on the preview below to grab this freebie and Happy Holidays everyone! For all my Make the Cut! readers, Andy (the amazing programmer behind Make the Cut!) just released a great new tool, a MTC file viewer for Windows Vista, Windows 7 and Windows 8. Now instead of seeing the generic file icon when you're browsing your files, you can actually see what they contain! This is a fabulous new feature especially for crafters who have accumulated a lot of cutting files. What you see is basically a miniature version of the entire cutting mat, as you can see to the right. Deliver holiday treats with cheer in Santa's Sleigh this holiday season. 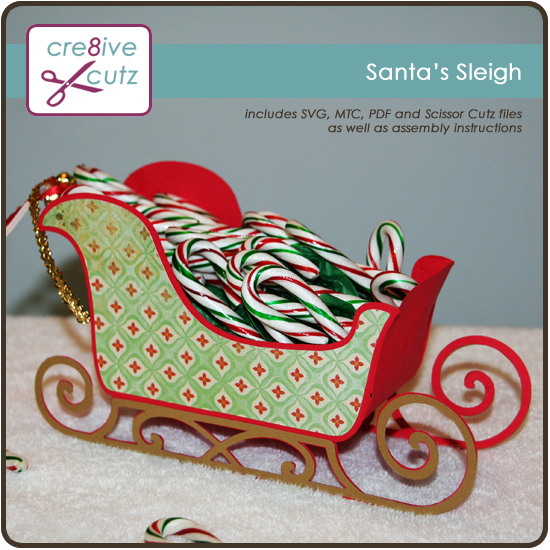 The sleigh will add a very merry touch to your festive decor, and is roomy enough to hold lots of goodies. The download includes SVG, MTC and PDF files as well as assembly instructions. The file cuts well on any size mat, depending on your desired finished size. New: For people without electronic cutters, a scissor cutting file in pdf is also included that can be printed on the 8 1/2 x 11" paper of your choice and cut using scissors or a craft knife. 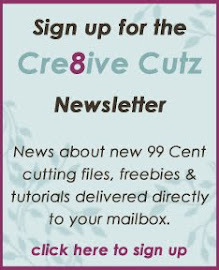 Click here or on the image below to purchase the cutting file for just 99 cents.